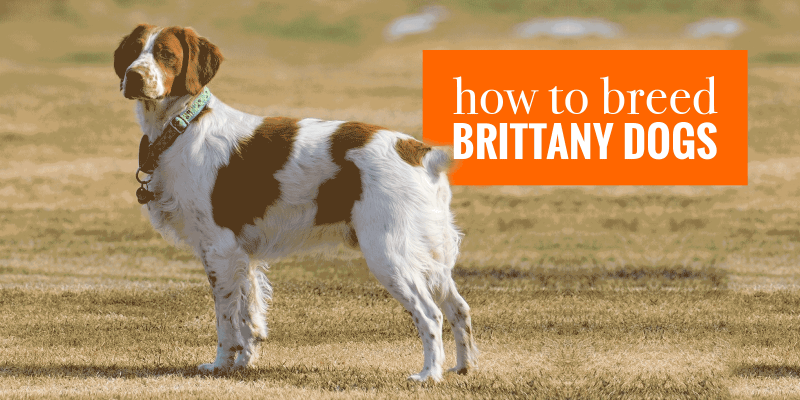 How To Breed Brittany Spaniels — Hunting, Pregnancy, Pedigree & More! 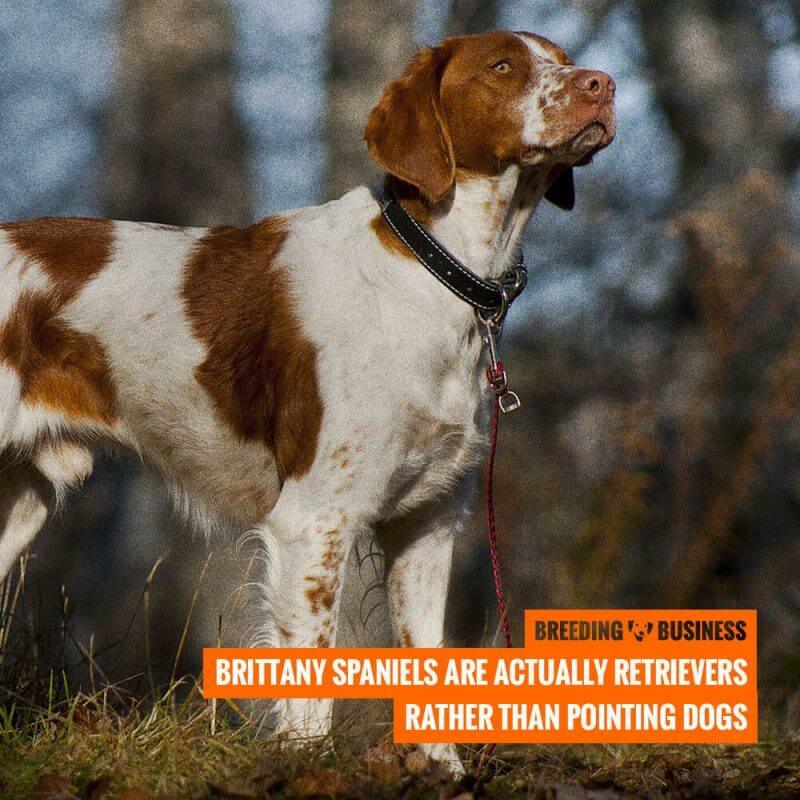 Breeding Brittany dogs is not an easy mission to accomplish for most people; indeed, Brittany spaniels are hunting dogs requiring a lot of regular exercise and have a wonderful drive for retrieving birds and game. They are a hunter’s best companion and many clients may expect a well-trained hunting dog as a given. Amateurs and fanciers wondering how to breed Brittany dogs must understand that succeeding in breeding Brittanies means, almost mandatorily, attending and participating in various hunt, point and retrieve field trials. 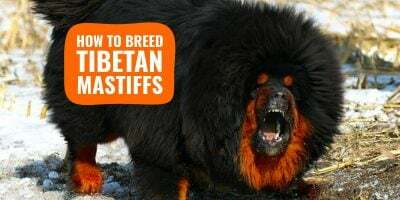 Additionally, when it comes down to Brittany breeding, the highest bidders will request pedigree puppies coming from bloodlines with double-winners: champions in field trials but also in conformation show rings. Brittany spaniels, or Brittany dogs, are a breed with a loaded history and despite not being the center of all discussions, it’s a strong breed that is very popular throughout the world. Thanks to its hunting skills as a retriever, the breed has a place in most farms and in most hunter’s homes. Breeding Brittany spaniels requires a deep knowledge of its history and how did the breed rise to its current stable popularity. Brittany is known for its long history as both a part of the French nation and as an independent region distinct in its culture. Brittany is a peninsula with the Atlantic ocean, the Bay of Biscay and the English channel on its three waterfront sides. Brittany Spaniels originated from this part of France. Brittany dogs were originally bred as a gun dog for bird hunting in France where the breed is called Epagneul Breton. Some breed historians believe that the breed was developed between the 17th and 19th centuries by some cross-breeding with the English Spaniel and other English pointers. Some theorize the wealthy English people would visit France and bring their dogs with them. A certain number were left behind and bred with the local dogs resembling the breed. Brittany-like dogs appear in some tapestries as old as the 16th century. Because of the proximity to Wales, there were some influences back and forth. Poachers on estates found this dog to be a great help in locating and quickly making off with game. This vivacious gun dog has some unique characteristics. Hunting dogs are named and classified according to the various functions they serve in the hunt. Retrievers which include the Goldens, Labs and Poodles return the kill to the hunters. Many of these dogs are excellent swimmers and retrieve waterfowl over bodies of water. Spaniels work to flush out game hidden in brush so that hunters may get a clear shot at them. Pointers and setters position their bodies to indicate for the hunters where game may be located on the ground. Brittany spaniels do not flush out game as the name would suggest, but instead are retrievers. In addition, they position their bodies to point out game. 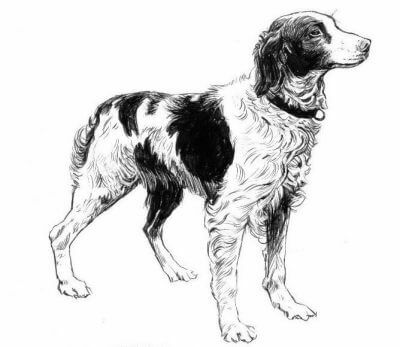 A Brittany dog drawn to perfection. Brittany dogs are medium-sized dogs with weights averaging for males at 40-45 pounds and females 30-40 pounds. American-bred Brittanies generally are larger than their French counterparts. These dogs have a lot of energy and should receive regular exercise. They have more sensitive natures than many of the sporting dogs. They should be socialized and trained at an early age to prevent shyness and destructiveness borne out of excess energy. Brittany dogs are very intelligent and trainable. The IQ of the dog breeds has been tested with IQ being defined by how quickly a dog learns a particular command. A dog that requires three repetitions to learn a command is more intelligent than a dog that needs ten. Of the 369 breeds tested, Brittany dogs ranked 19th in intelligence. The first official Brittany dog was exhibited in Paris in 1896 and received an award. The first registered dog was named, “Boy“. This dog was registered in France in 1907. The pioneer of the breed in the United States was Louis Thebaud. Mr. Thebaud imported the first Brittanys from France. From the beginning, the dog was valued as both a great companion animal ready to show in the ring and a sporting dog happy working alongside a hunter. Mr. Thebaud himself was a sportsman. He regularly used his dogs to hunt quail. His dog, “Franche”, was the first to place in a field trial in 1935. It was primarily through Mr. Thebaud’s efforts that the breed was recognized by the AKC in 1934. Thebaud organized the parent breed club and served as its first president. The parent club, the American Brittany Club, as part of its mission promotes the dual purposes of the Brittany as a fine show dog and as field competitor. The club sponsors different types of field competitions including competitions based on different game birds and a National Gun Dog Championship. Brittanys can also be found as part of a flyball team and competing in agility trials. A Brittany was among the 2017 champions of a Hunt, Point and Retrieve competition sponsored by the Kennel Club. The World Wars almost wiped out the breed in its native land. The interest of American breeders preserved the breed and the breed has been revitalized in France. In 1982, the AKC dropped the word “Spaniel” from the name. The Kennel Club, likewise, does not include “Spaniel” in the breed name. The FCI has retained “Spaniel” in the breed name. In the United States, the Brittany ranked 25th in popularity in 2016. They have risen from the 30th position in 2013. Brittany breeders must work hard to win in both field trials, and conformation shows. These gun dogs are a generally healthy breed. They are built to work. These dogs thrive in an environment that puts their athleticism to good use. They are not couch potato dogs. Brittany dogs, if not being used in hunting, should take to such sports as flyball and agility competitions. Regular exercise helps these dog in good health. Obesity is a preventable risk factor in many canine diseases affecting Brittanies. The average lifespan of Brittany dogs ranges from 12 to 14 years. Malformation of the hip joint can result in pain and lameness in affected Brittany dogs. It is an inherited condition but more than one gene is probably involved. According to the Orthopedic Foundation for Animals (OFA), the breed ranks 71st among the AKC for the prevalence of the condition which means the breed is not the highest at risk, but it’s still present. The OFA statistics include all evaluations through December 2017. There were 20,346 hip evaluations of Brittany and of this 14.3% were abnormal. This disease is an autoimmune disease with symptoms including ulcerations in the mucous membranes, depigmentation and scaling of the nose. The condition can worsen with exposure to sunlight. It is not a serious condition but treatment usually must be lifelong. Topical steroids, and tetracycline or niacinamide may be used to treat the condition. The disease can resemble other conditions like ringworm and a biopsy of skin cells will confirm the diagnosis. It is a disfiguring disease but not painful for the dog. Some neurologic conditions are more common in Brittany. Idiopathic or primary epilepsy is considered to be a genetic condition. The exact mechanism is not yet known in Brittany dogs. Dogs usually show symptoms between six months and three years of age. Seizures can range from a dog appearing to be “spaced-out” and frozen (petit seizure) to the whole body convulsion (grand mal). The condition can’t be cured but is controlled with lifelong anti-seizure medication. Another less common neurologic condition is cerebellar abiotrophy. This condition begins in puppies between six and sixteen weeks old. The puppy will seem uncoordinated and lose balance. It is a genetic condition. Dogs with genetic neurologic conditions like primary epilepsy or cerebellar abiotrophy should not be bred. According to the OFA statistics, Brittanies ranked 71st for thyroid problems. The sample size, though was pretty small. Of the 78 evaluations, 2.6% of them were abnormal. Hypothyroidism or lack of sufficient thyroid hormone is fairly common in the breed. 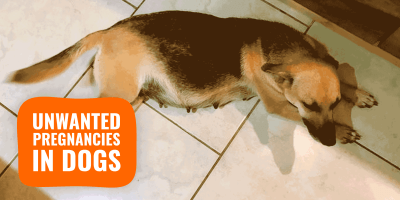 Symptoms include lethargy, weight gain, fur loss or brittle coat, and a lack of alertness. Treatment is with hormone replacement. Breeding brittanies is not difficult in terms of nursing: it’s a very healthy dog breed, with very little grooming requirements. Pregnancies mostly go well as the breed is neither too big nor too small, and the puppy count is never too large for a mother to properly take care. However, successful Brittany breeders must put a lot of energy in promoting their bloodline and kennel affix. There are not many ways to do so but many hours spent online helping the community and promoting the breed, as well as being offline partaking in dog shows and local events. Such effort may be tough to pursue during the early days as no results will be yielded but eventually, hard work will pay off. 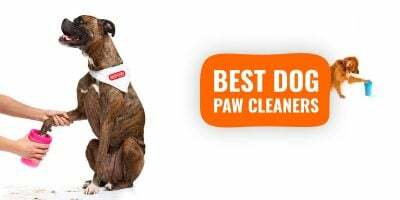 A study looked at litter size in 224 breeds of dogs registered by the Norwegian Kennel Club in 2006 and 2007. In the study, the mean number of puppies born to Brittany was 6.4 puppies with a fairly wide range going from 1 to 10 whelps. Several factors come into play in determining or guessing the size of a particular litter, and how low or high its puppy count will be. 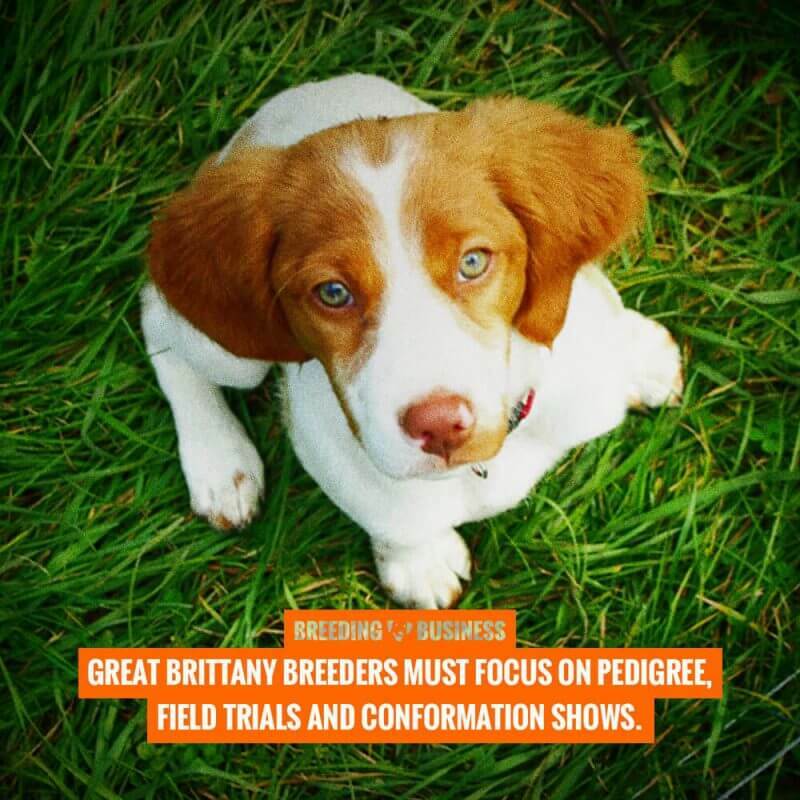 The Brittany breed competes in both conformation shows and in field trials. A dog that can meet its breed standards and please judges in the show ring can also show off its skill as a gun dog. There have been over six hundred Brittany dogs that have become champions in both conformation shows and field trials. It is the number one breed for being able to excel in both arenas, tailed closely by the most intelligent breed, the Border Collie. Brittanys compete in what is commonly called HPR field trials. “HPR” stands for hunt (flush), point, and retrieve. In these competitions, Brittanys compete against many other breeds of dogs. The competition to claim the championship is fierce and the versatility of the dog as well as its general athleticism give it the edge. Some commentators call the breed hyperactive. This breed has too much energy for some people or families. It needs a lot of exercise in order to prevent it from becoming bored. A bored dog can become destructive. The breed is generally very healthy but a lack of regular exercise can lead to obesity—which in itself is unhealthy for dogs and is tied to all sorts of illnesses from heart disease to cancer. These dogs can be happy family dogs with room to run or plenty of walks and exercise. They are at their best when they are allowed to do what they were bred for and are at a hunter’s side. Still, other active sports like agility competitions or sports like flyball are good for a Brittany to keep it healthy and happy. Although they are a medium-sized dog, they are not particularly well-suited to apartment living. Their high energy and need for companionship make long periods of lonely confinement particularly unsuitable for them. Brittany spaniels do not flush out game like other Spaniel breeds, but instead are retrieving the game. The AKC standards require that a Brittany dog be not less than 17.5 inches or more than 20.5 inches the shoulders. Sizes outside these measurements are a disqualification. The general appearance of the Brittany Spaniel is one of a compact and muscular animal. The AKC recognizes seven colors: white & orange, orange & white, liver & white, white & liver, liver roan, orange roan, and liver white & orange. Any black in a dog is a disqualification in the AKC standards. The Kennel Club and other countries (most notably France) allow black & white. The features of the dog should reflect its use in the hunt and anything that would detract from its usefulness such as excessive feathering of the tail (as it would catch onto briars) or bushy eyebrows are penalized. Tails on Brittanys either or naturally short or absent. Dogs should have tails no longer than four inches in length. The AKC does not prohibit tail docking (which is illegal in countries like the United Kingdom). In the AKC standards, a black nose is a disqualifying feature. Eyes should be dark or amber-colored. The coat should be dense, flat or wavy. The coat should not be curly. The coat like the other features should not impede the dog’s swift movement through the underbrush. 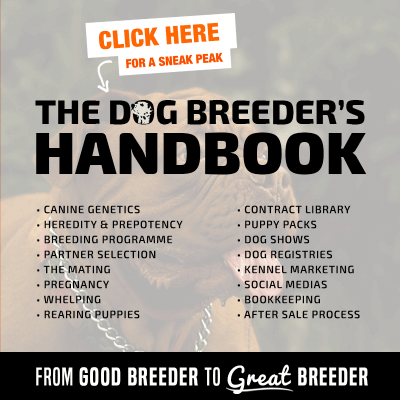 The AKC and the parent club maintain lists of breeders who meet certain standards including such things as signing a commitment to ethical breeding. 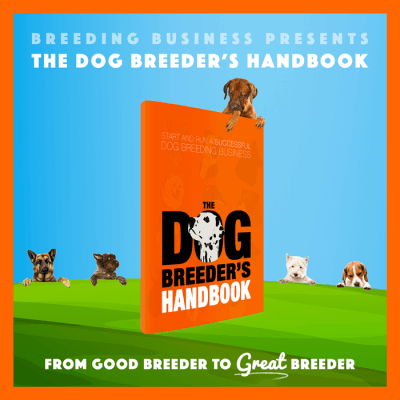 It is a good idea for any buyer to research the breeder before getting too committed to the purchase of a puppy. A good breeder will have the puppies given initial shots and be evaluated for health conditions like hip dysplasia and any eye disorders. Since not all inherited problems show up right away a good breeder will guarantee the health of the puppy for a number of months at least. The average cost of a puppy will run $800-$1000, and the breed is available across the United States. The other cost consideration is whether the dog will be used for hunting or not. Many people will need some assistance in training their dog for the field. 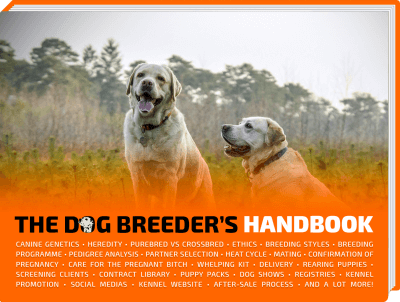 Some breeders offer training for their dogs for a very little extra. Specialized training, also, can be found throughout the country. This kind of training can be pretty expensive but very rewarding in the long run. Professional training can easily cost as much as the dog itself in many instances. It is a BRITTANY. The Spaniel was dropped in 1982! Please edit these webpages to get the breed name correct.